After over half a century of de facto independence, Taiwan surpasses its mainland neighbour, especially when it comes to the areas of democratic participation and economic prosperity. While national unity seems far out of reach, the island nation must ask itself whether it wants to stick with the Nationalist Party’s aspiration for national unity or whether it rather chooses to follow incumbent president Tsai Ing-wen of the pro-independence Democratic Progressive Party who, this year, did not even perform the annual yaoji ritual of national unity. 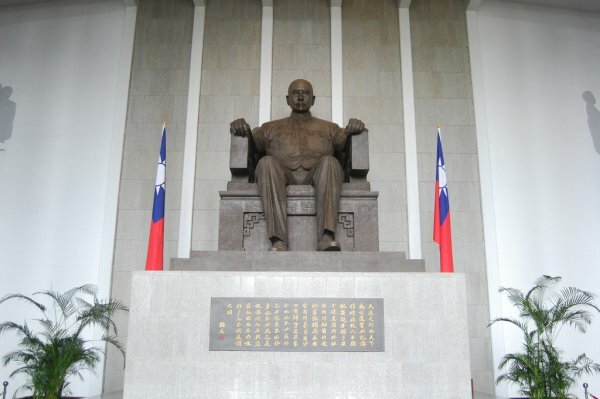 For decades Taiwan’s rulers have paid their respects from afar to Sun Yat-sen, also known as Sun Zhongshan: “father of the nation”, founder of the Kuomintang (KMT) or Nationalist Party, and first president of the Republic of China. In a ritual called yaoji, they face towards Sun’s mausoleum in Nanjing, 800km (500 miles) to the north-west in China, and offer fruit, burn incense and recite prayers. Now that links across the Taiwan Strait are better, Sun-worshippers may make the pilgrimage in person. On October 31st  it was the turn of the KMT’s chairwoman, Hung Hsiu-chu. But not only do some Taiwanese adore Sun. Museums in his honour also exist in Hong Kong, Macau, Singapore and Penang. He has a memorial park in Hawaii, where the great republican spent his teenage years, and a plaque in London, where he lived in exile from 1896-97. Most striking of all, he is admired by the Chinese Communists, who “liberated” China in 1949 from KMT rule. In the Communist telling, Sun is the “forerunner of the democratic revolution”. As one visitor to his mausoleum put it this week [31 October-5 November 2016]: just as one sun and one moon hang in the sky, “there is only one father of the country.” There may be more Zhongshan Streets in China’s cities than Liberation Avenues. To mark this month’s [November 2016] anniversary of Sun’s birth 150 years ago, the state is minting a set of commemorative coins, including 300m five-yuan (75-cent) pieces that will go into circulation. It is a signal honour for a non-Communist. The party views Sun as a proto-revolutionary. His ideas were hardly systematic, but he never deviated from the priorities of fostering national unity among Chinese, promoting democracy and improving people’s livelihoods—his “Three Principles of the People”. While railing against foreign depredations, he called for Chinese to embrace Western freedoms and rights (Sun’s messianic drive may have derived from his version of Christianity). His was an astonishingly more cosmopolitan world-view than that displayed by today’s Chinese leaders. Yet the longest-lasting impact of Sun on Chinese political life derives from something different. In the early 1920s he listened to advisers from the Soviet Union, which had won his admiration by renouncing territorial claims in China. He reorganised the KMT along Leninist lines, giving himself almost dictatorial powers (in Leninspeak: “democratic centralism”). The immediate effects were striking: an alliance between the KMT and the young Communist Party and a northward military advance in 1926 under Chiang Kai-shek, Sun’s heir, that toppled the warlords who were then wreaking havoc. Sun had died of liver failure the year before. He did not live to experience the brief national unity that Chiang imposed, nor the parties’ fatal split and descent into bloodshed, nor their struggle over Sun’s mantle.